"Call me overly critical, but I'm starting to think Ratchet should ditch Clank and hang out with Qwark instead." 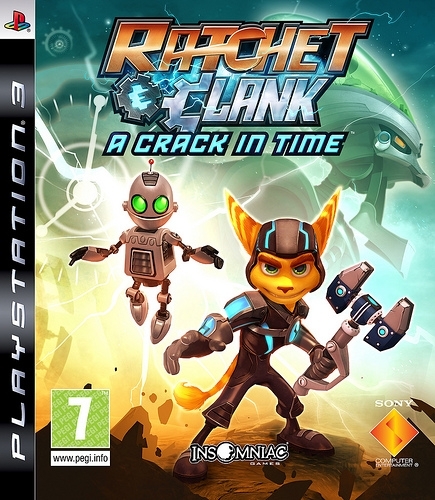 Concluding the events set into motion by Ratchet & Clank Future: Tools of Destruction, Ratchet & Clank Future: A Crack in Time will at long last answer some of the franchise fans’ largest questions. 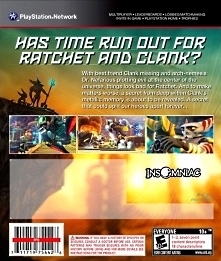 After discovering that Clank’s disappearance was engineered by Dr. Nefarious, Ratchet races to rescue his best friend. Unfortunately, he discovers that Clank’s capture is just the beginning of Nefarious’s latest diabolical plot. 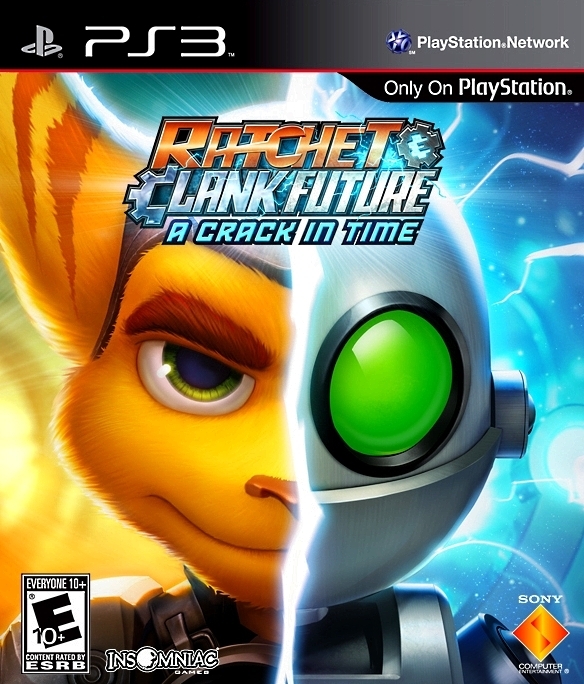 In this follow-up to the best-selling series, Ratchet & Clank Future: A Crack in Time puts players into the role of both Ratchet and Clank as they attempt to reunite and save the universe. Along the way, both will finally uncover the hidden truth behind their origins, and discover their ultimate destinies. As the duo come closer to reuniting, they’ll have to ask themselves the biggest question of all: Do Ratchet and Clank’s destinies lie with each other? Or is it finally time for the universe’s greatest duo to separate for good? 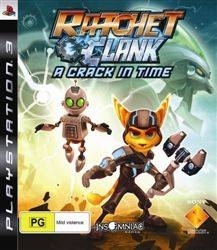 A Crack in Time will continue to bring the experience of playing your own CG-animated movie to the PS3. 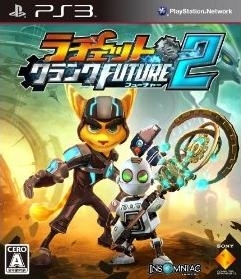 Players will use new gadgets such as Ratchet’s Hoverboots to explore levels and can take off in Ratchet’s ship to discover nearby moons and planets. Clank will use new abilities to manipulate time to try and stop Dr. Nefarious. 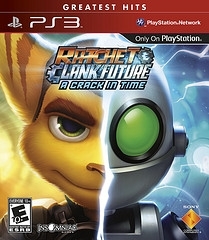 An original new adventure and story that answers many of fans’ most-asked questions and wraps up the story arc that started in Ratchet & Clank Future: Tools of Destruction and Ratchet & Clank Future: Quest For Booty. All-new Clank gameplay and special “Time” abilities that bring new meaning to “past selves”. 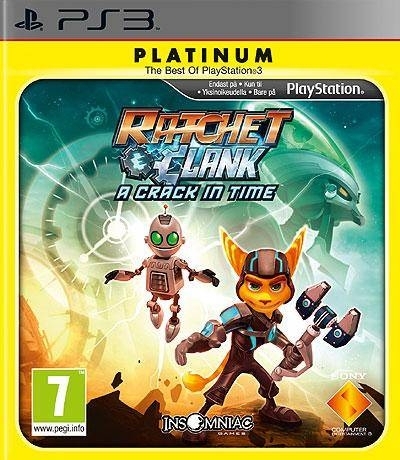 The best ratchet and clank i have played yet ( i also have played ps2 trilogy and TOD). The freedom of space exploration in your spaceship is a great addition and the puzzle solving is as good and intelligent as ever. In my opinion it deserves at least 2.5 million sales because it is better than TOD. Yes. 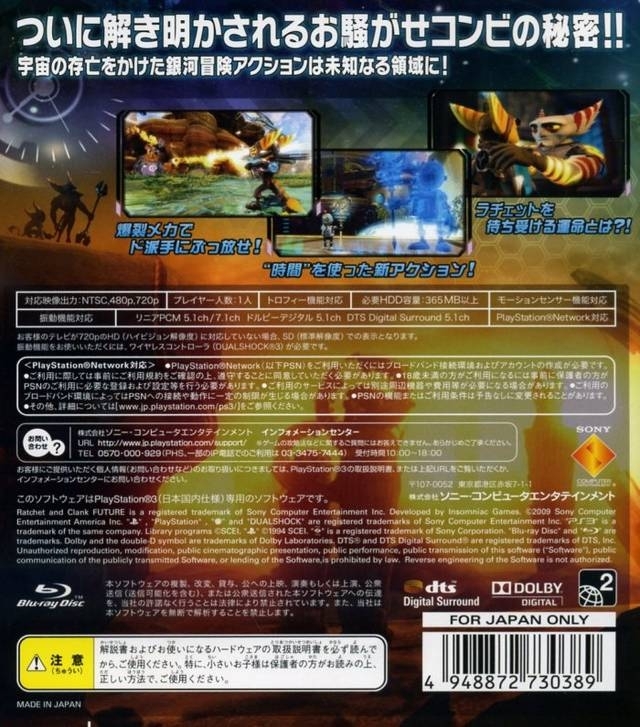 One of the many undertracked PS3 games in Europe. This is over 2 million, close to Tools of Destruction. 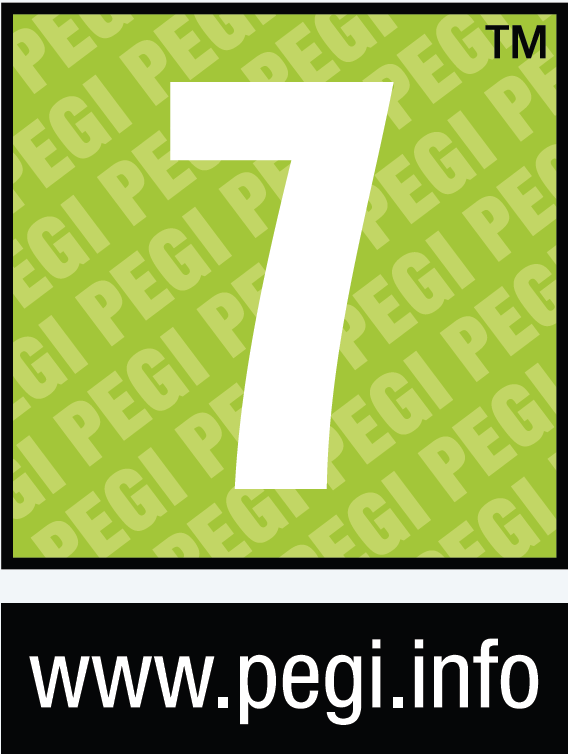 I think that this game is undertracked!anyone? 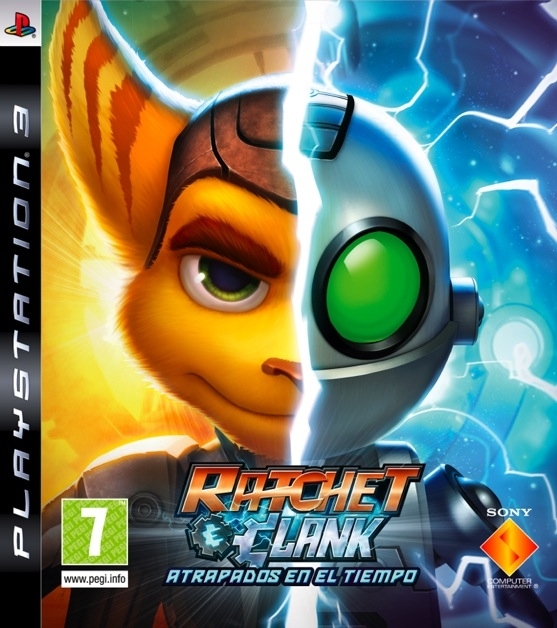 Definitely the best Ratchet game. 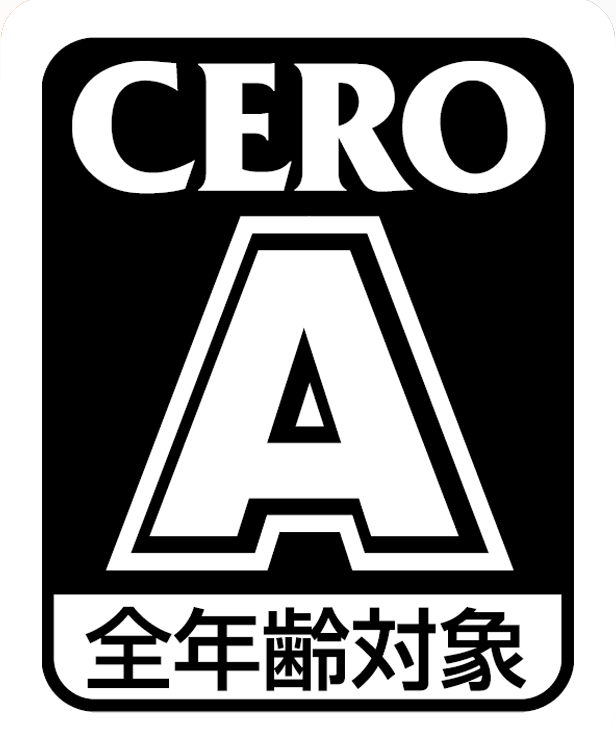 Among my favourite games ever, in fact. The interwoven stories (Ratchet & Azimuth, Clank & Great Clock, Nefarious' plan etc.) were all really, really well done. 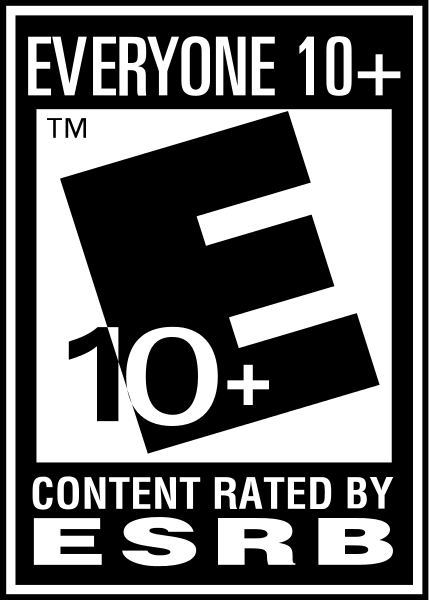 And the gameplay was just as fun as ever.